Islamabad: In further trouble to Nawaz Sharif, Pakistan’s top anti-corruption body on Tuesday ordered a probe against the embattled former prime minister and others for allegedly laundering USD 4.9 billion to India, media reports said. 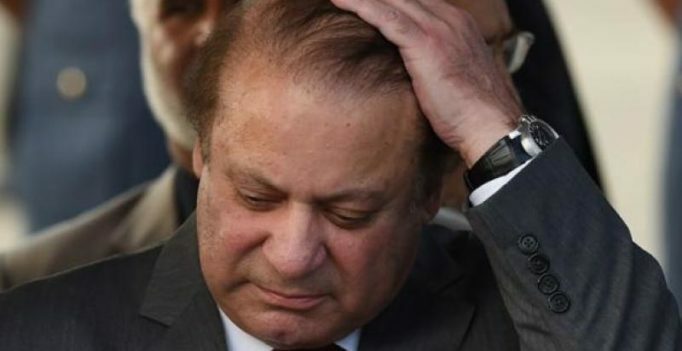 The National Accountability Bureau (NAB) in a press release said its Chairman Justice (retd) Javed Iqbal took notice of reports making rounds on news channels claiming that Sharif allegedly laundered USD 4.9 billion to India, the Express Tribune reported. According to the media report, this incident is mentioned in the World Bank’s Migration and Remittance Book 2016, the release said. However, details of the media report in question have not been mentioned in the brief statement issued in Urdu, Geo TV reported. The statement claims that the amount was laundered to the Indian finance ministry after which Indian foreign exchange reserves witnessed an increase and Pakistan suffered as a result. Sharif is facing three corruption cases at the accountability court following the Supreme Court’s verdict in the Panama Papers case. A NAB inquiry is also under way against him for alleged illegal expansion of a road leading to his estate in Lahore’s Jati Umra locality. Once formulated, this will be the fifth case against the ousted premier by the NAB. Earlier on Tuesday, the accountability court sought more time from the top court to end the trial on references filed by the NAB against members of the Sharif family. Accountability court judge Muhammad Bashir, who presides over the hearings, has written a letter to the top court requesting for a second extension in the trial. Earlier in March, the Supreme Court had granted a two-month extension to the accountability court to wrap the proceedings. However, as the two-month deadline expires, the case is nowhere near its end, with the Al-Azizia Steel Mills and Flagship Investments still untouched, the country’s top anti-graft body is running out of time. The Supreme Court of Pakistan had disqualified Sharif last year, forcing the three-time prime minister to resign. Sharif has dismissed the corruption charges as politically motivated. The political future of Sharif, who leads the country’s most powerful political family and his party, has been hanging in the balance since then. If convicted, he can be jailed.